Applications are now being accepted for spring workshops Session 2015! Urban Apps+Maps Studios offers a range of workshops throughout the spring for entering grades 8 through 12, and The workshop is limited to 15 participants, so secure a spot register early!. These workshops will provide the rich hands-on experience to the participants on the following subject areas: Web design and Programming, mobile app development, and Engineering. Participants have the opportunity to learn from Temple University faculty members, who are teaching in these areas. All workshops will take place at the Temple University main Campus and are planned for February, March, and April. The workshop fee of $150.00 includes a registration fee of $35, breakfast, refreshments during breaks, and materials for the workshops. The first session (workshop 1 ) registration and session fee are FREE! 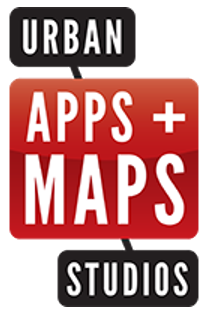 If you are current or former Apps & Maps students, all sessions are FREE. Limited scholarships (up to $115 per session) are available for qualified applicants with demonstrated need. Pre-registration is required for all workshops. Full payment for these workshops can be made at the time of registration but is not required. If full payment is not received at the time of registration, you will receive an email for the balance due 3 days prior to the workshop date. If full payment is not received 3 days before the start of the workshop, your space will be forfeited. Registration is limited to 15 per workshop. Registration fees will include breakfast, materials for the workshops, and refreshments during breaks. Participants are expected cover their own travel. Make sure to check the registration deadlines. Creating a small final project. In this workshop participants will be constructing a small “nightlight” that will turn on when movement is detected. Place this on a bedside to avoid finding a switch at 2AM. 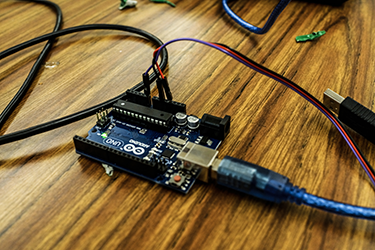 Pariticipants will be learning to use an Arduino as the brains of our device, as well as learning the basics of circuits to wire our device together. Upon successful completion of this workshop, interns will be able to build a basic functioning mobile app. Registration is required to reserve a space. Register for the workshops at the top of this page. You will be contacted one week before the workshop to confirm your registration. If you have any questions, please feel free to contact Jean by e-mail @ jean.akingeneye@temple.edu or call (267)-414-4123.